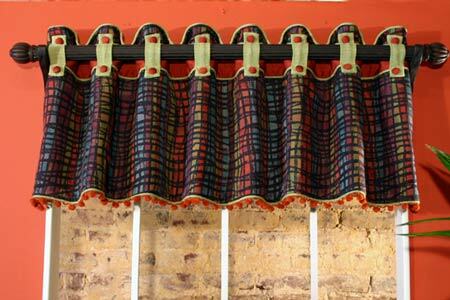 This tailored valance with tabs and buttons can be adapted to fit various window widths. It is creatively mounted on a rod that is slipped behind the tabs. 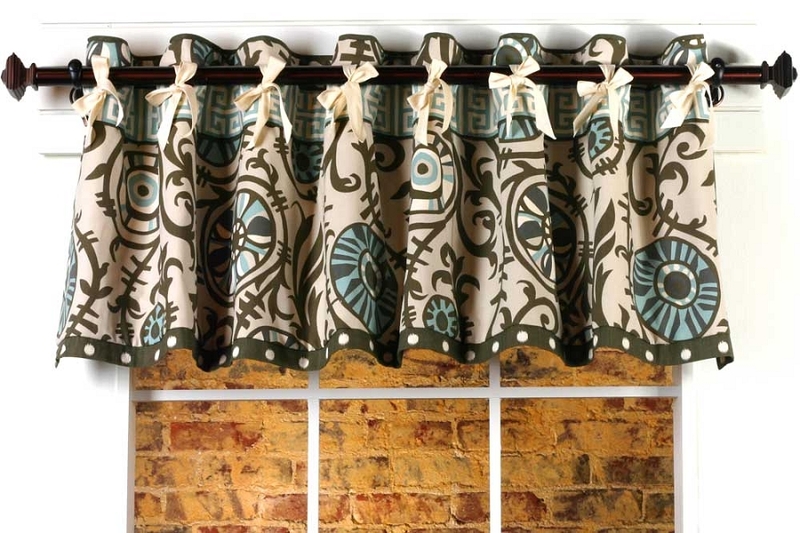 A small piping constructed from contrasting fabric is applied to the top and bottom of the valance as well as on either side of the contrast band. 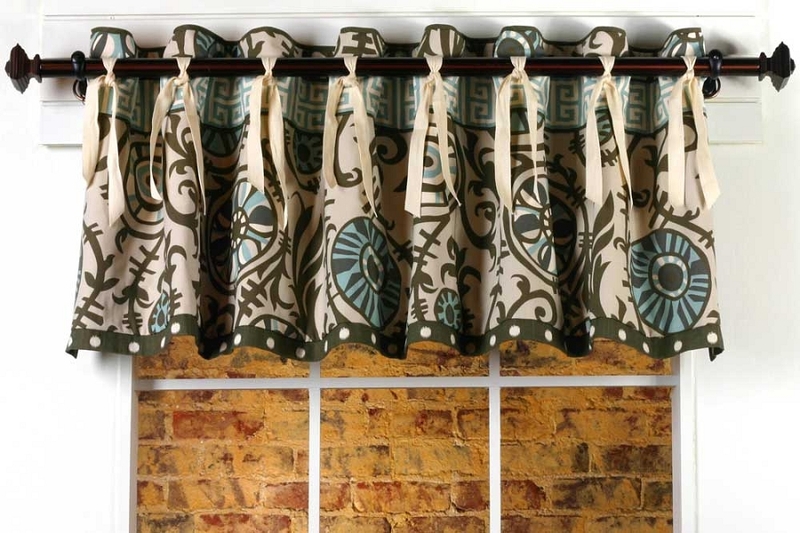 A decorative trim can be applied along the bottom of the valance, if desired. Q: Is this style twice the width of the space?